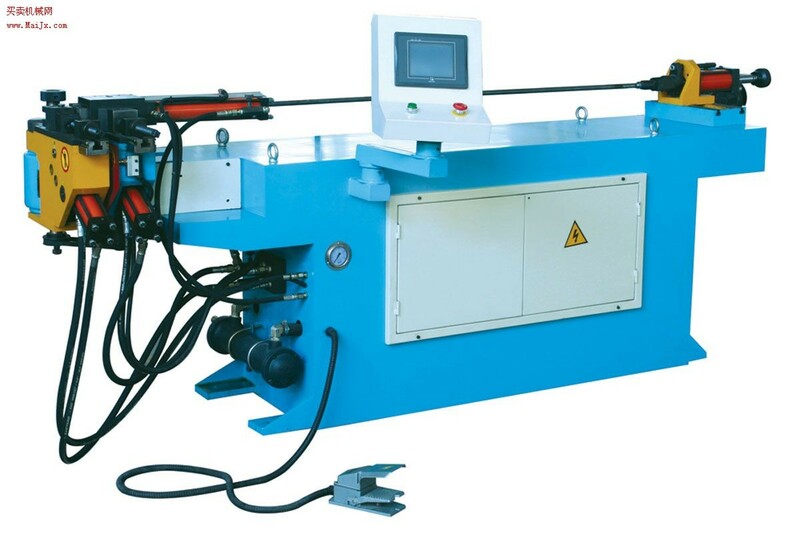 MC350D Metal Pipe Cutting Machine,based on the introduction of foreign advanced technology,innovative and develop a hydraulic automatic sawing machine,Performance of their products reach the advanced level, Sawing various sectional shapes can be ordinary steel, stainless steel, copper, aluminum and other metal profiles,Especially sawing various pipe is ideal. 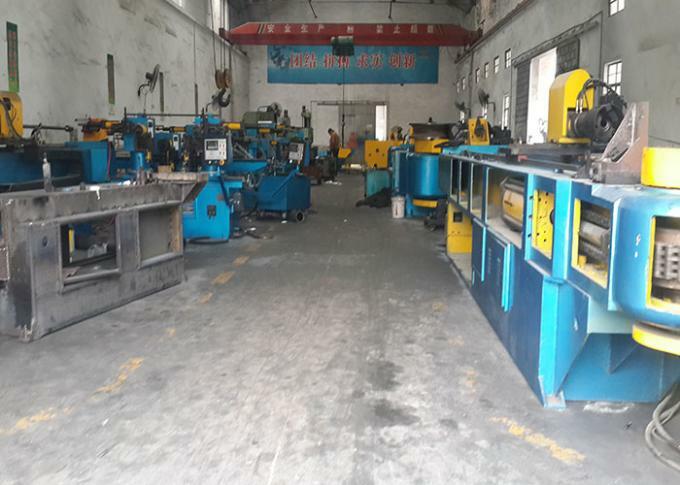 The machine uses hydraulic control,When sawing without artificial feeding, discharging, Its workpiece clamping, release, feed, retract automatically by hydraulic control ,The machining accuracy, high efficiency, suitable for long-term continuous operation. The machine is equipped with cutting the number of counters one (on the main control panel),The scheduled number of workpieces sawing input counter,The actual amount of cutting will be displayed on a small screen counter, When the actual number sawing consistent with preset number, the machine will automatically stop working, cutting the number of the actual counter is automatically reset to zero. 1,The machine must be placed on level ground, four feet with bolts to secure it. 2,Line has been assembled inside the machine debugging, and the power (380V 50Hz, three-phase four current system) connected, while the machine must be grounded to ensure safety. (1)The power switch is set to OFF. (2)Open the blade safety cover. (3)The knife blade cover removed, and the spindle flange, and a knife blade cover with a clean cloth not leave any sand or iron filings. (4)Mounted on the blade, tooth front cover arrows in the same direction with the knife, put the knife on the cover, tighten the screws, before completely locking the blade to pull the blade turning in the opposite direction, so that the pin face cover tightly knife the pressure on the blade pin hole, then tighten the screws firmly. (5)Cover the blade safety guard rails, complete blade installation. To remove, against the above steps. Adjustable limit nut, then turn the control valve closed dot (counterclockwise) so that load slowly head down until the blade can cut the workpiece to be cut up, so that the blade adjustment cap is cut away from the workpiece about 10mm or so. A,You can really clamp the workpiece. B,Ensures smooth feeding, not hard drag or stuck, will not affect the length tolerance after cutting the finished workpiece. A,Try to open the primary clamp, the clamp is opened to feed. B,Manually operate the main control panel will feature feeding station to the front of the main clamp. C,Clamp the workpiece placed in the middle. 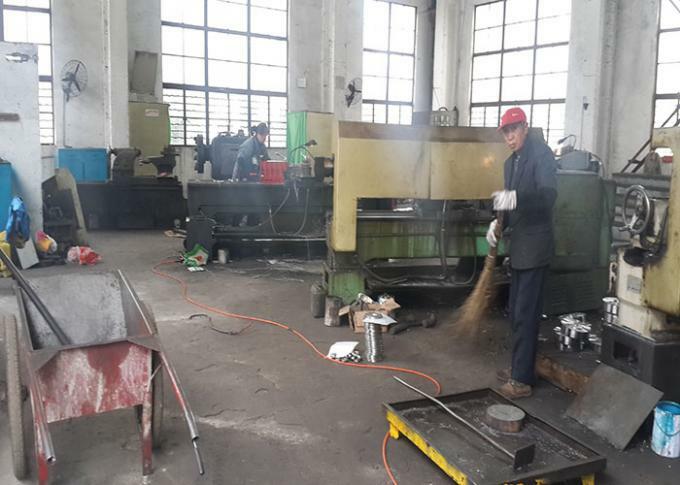 D,Rotation of the hand wheel clamp the workpiece to the main folder death, hand wheel and then spin back 3-4mm. E,Turn the knob to the manual function on the main control panel to see if the fuel tank to the main folder does workpiece clamping, cutting the middle in no danger and damage the workpiece rotational movement of the blade. F,After the main clamp adjustment, adjust the feed clamps, the adjustment method to adjust the main folder roughly the same, but pay special attention in addition to adjustable hand wheel, the more you can adjust the seat clamp blocks around. But feeding tongs into the same folder must be straight with the Lord. G,After manually adjust the knob to release the main folder. Will be sent to the feeding clip clip knob cylinder clamp the workpiece to hand feed back button is pressed, the feed station immediate retreat. At this point note material (workpiece) is the main clamp collide, it means if there is no good tune on the line, you must re-adjusted. If it means the material before and after delivery smooth adjustment has been completed. On the rear of the feed cylinder head has a flow adjustment valve, rotate the knob to adjust the feed speed handpiece. Feed speed adjustment depending on experience, not too fast and collapse debris resulting serrated teeth, but also not too slow and blunt saw blade. For example amputated 25mm diameter mild steel bars for about 2-8 seconds, according to Lee serrated or blunt may be. (6)And as a length less than the feed, select the second or third feed, i.e. the length of or × 3 × 2 times. When the first 7 steps smoothly, according to the main control panel, automatic button, the machine that started feeding Feeding → ​​→ → sawing sawing, etc. automatic cycle operation. When performing work automatically, attention should first master control panel knob on the 15th go to "run" position, so that when the workpiece material deficiencies in sending a limit proximity switch detects the lack of artifacts and automatically shut down. Last win after stopping material, re-execute the work on the new 8 steps, automatic cycle sawing action.